Roseau Dominica – April 14th, 2016 – Dominica's Flow Barclays Premier League (BPL) Download & Win promotion winner Alton Audain leaves the island on Friday; his destination is the United Kingdom, for what he anticipates will be a remarkable 'once in a lifetime' experience. Audain, a huge BPL fan and supporter of Manchester United, emerged as the lucky winner in the BPL promotion which ran across all Flow markets from mid-January to end of February. The customer action was to download the free Flow Football App where two winners would be drawn to win a trip for two to the UK to view a Barclays Premier League game of their choice. One winner would come from the Jamaica market, while the other would be selected from all entries across the remaining markets. The latter was announced as Alton Audain from the northern village of Dos Dane in Dominica. The prize includes round trip tickets to the UK for Audain and a guest, tickets to the game of his choice, ground transportation and five hundred US dollars (US $500) spending money each. Audain has selected the Arsenal vs Crystal Palace game to be played at the Emirates Stadium this Sunday, and is extremely excited about this incredible opportunity. "This is something which comes once in a lifetime for BPL fans in the Caribbean, and words are not enough to express my gratitude to Flow for allowing me the chance to sit in an actual stadium and view a live BPL game," said Audain. 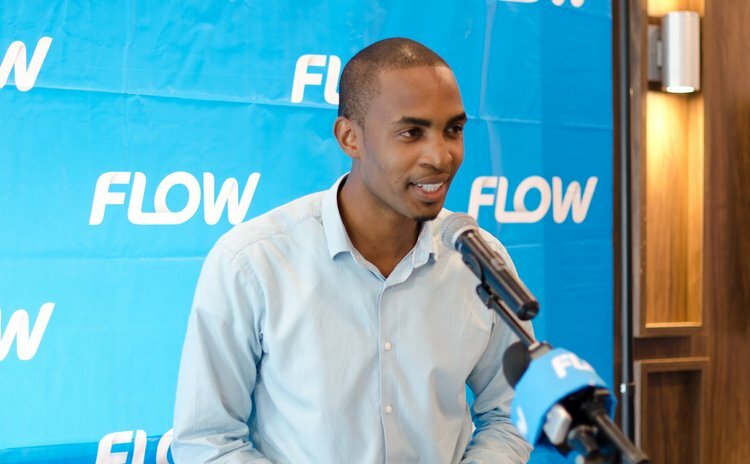 Flow's General Manager Jeffrey Baptiste is pleased that the company continues to bring to life its promise made to customers during the launch of the new brand towards the end of last year. "We promised our customers that not only would we bring them state of the art products and services, but that we would be focused on building communities and transforming lives. "This win for Alton Audain is a prime example of fulfilling this commitment and promise, and I wish to urge Mr. Audain to make the most of this major opportunity and to share with friends and family upon his return", said Mr. Baptiste. This is the second major regional company promotion captured by Dominica. In 2008 Dominica took home the Christmas promotion prize of one million US dollars to a single winner which was won by Lucille Worrell of Fond Cole.